I haven’t posted for Grateful Heart Monday in a while but decided that I had to make a post today because I am very grateful for an offer that was made to me last week. I have mentioned before but I am a Lawyer but only qualified in the UK. This is great because it was kind of my dream career, my mum says from about 12 or 13, goodness knows where I got the idea. It took a LOOOOOOT of study, time and money to qualify and I couldn’t have done it without the support of my family and friends. However I moved to Australia and when I asked for my qualifications to be assessed the Law Society folk basically said yeah great you did loads of study etc etc and yep your a Lawyer BUT we need you to do more studying (and there I was swearing off doing any more studying ever again) and so I am stuck a bit in limbo getting everything in order so that I can start the studying in January next year. When I started looking for work in Darwin it was near impossible to get any legal practitioner work but luckily I was able to get a pretty cool job as a Legal Secretary/PA (and I met my fantastic friends at the same time) with no actual secretarial experience but that job was only temporary. I looked for a new job when that assignment finished and was very lucky to be offered a job within a few days which I started and have been even luckier to have been able to progress firstly to Paralegal and then this week was offered a promotion which means I will be doing much more actual legal work which will help me no end when the studying starts. The people I work with are also really lovely so things have gone very nicely as well. This was so exciting for me because I had been hoping and waiting the time out to find the best time to discuss progression and instead it happened all by itself. So I am grateful that I worked as hard as I did to prove that I have what it takes and to be offered such a great opportunity because it was so very unexpected. I just have to get round to starting that studying now ouch! I am terrible at sticking to challenges or projects, other than blogging itself it seems, so I have been terrible at participating in Grateful Heart Monday which is run by Emily of Ember Grey. This Monday I wanted to participate and talk about how grateful I am to have such a supportive family. I’m often in this little bubble here in Darwin living my life with the Aussie, doing all the fun things I enjoy doing and so it’s easy to almost forget that yes moving abroad is a huge deal for yourself but it’s also a big deal for your family who are used to having you there, doing things with you and just having you nearby. We’re very lucky to have so many different ways to communicate and luckily my Mum and Brother are computer whizzes so we can communicate frequently about what is going on. However I know it’s tough for them and I am so grateful that even though it’s hard for them, they still support me 100% in what I am doing even if they probably would prefer things to be different which is completely understandable so for that reason I am very grateful for my family. The Grateful Heart Monday event is run by Emily of Ember Grey and today I wanted to post about how grateful that I am that my family and friends both in the UK and Australia have taken the time to help us with this damn visa application (it gets called various insults these days as it’s taking so long to get everything together). Whilst we float along on a bubble of, maybe we’ll be ready next week and then another week passes they have been writing statutory declarations about me and us as a couple to help support our application. As I have mentioned before we have to prove we have been in a serious relation for more than 12 months and that we are a genuine couple so these statutory declarations are so so helpful. I can imagine how hard it must be to write them as well, when doing so and having my application accepted, means I will be staying in Australia beyond August this year but they have done it and written such lovely things I have felt extremely touched. So I am grateful for their help and also want to say thank you as it means the world to me. I decided to take part in the Grateful Heart Monday event run by Emily of Ember Grey so here is what I am grateful for today. I will be greedy and be grateful for 2 things today though my list could go on and on! We had another jam packed but fun long weekend the weekend and it is the last long weekend for a while too. Today I went to the movies with some of my girl friends to watch The Other Woman, which is very very funny by the way, and spending time with them reminded me how grateful I am to have met and made friends with such fantastic people. Moving to Australia was a very happy thing for me because I get to live with the Aussie after several years of flying back and forth and Skype calls at all hours of the day and night but also sad because I was leaving behind a very supportive family and set of friends which was horrible as I am very close to my family and friends. It took a while but when I started working I met these lovely ladies and I always look forward to catching up with them and am grateful for meeting them even if it’s just for lunch. 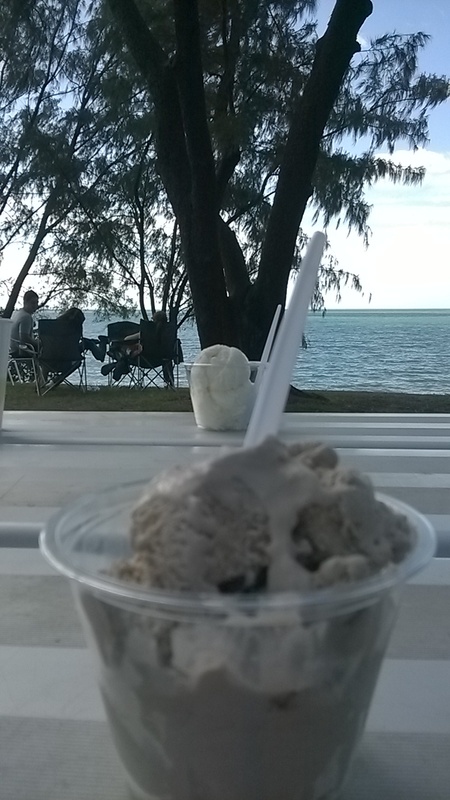 After my movie with the girls I met up with the Aussie and we went to Nightcliff Foreshore and had ice cream in the sunshine which was so nice. It seems that the dry season might finally be on its way and so I am also grateful for the weather and getting to spend an afternoon in the sun together.